Beautifully appointed and fully equipped to cater for groups of up to 6 people, Dolphins is inspired by its beautiful surroundings, from its stylish nautical-themed interior to its chic clapperboard exterior. The sandy beach of Widemouth Bay is only a five-minute walk away, along with superb local amenities including shop with fresh fish counter and a great choice of cafés, restaurants and pubs. Guests staying at Dolphins are welcome to use all the facilities at Court Farm, Marhamchurch, approximately 2.5 miles away, with use of the swimming pool between 12pm-3pm during peak season and school holidays. 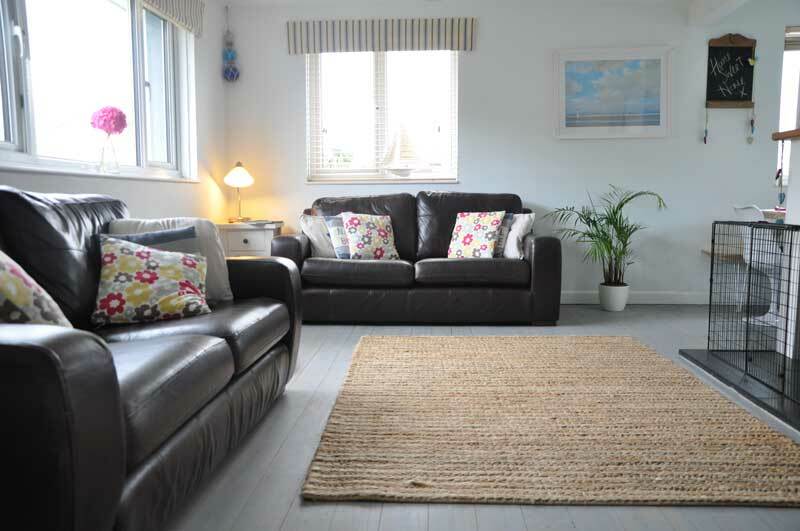 You enter Dolphins via its side kitchen door into its fully equipped modern kitchen with integrated appliances and large dining table leading through to its large lounge with deep comfy sofas with woodburner for cooler months and widescreen TV with DVD player. Its large bright master bedroom overlooks the garden has colonial styled bedroom furniture and king sized bed. There is also another double bedroom with king sized bed and ensuite shower room/wc. The third bedroom has a bunk bed and leads through double doors onto the bright and airy sun room overlooking the secluded, peaceful sunny back garden which enjoys all day sunshine. The garden has a luxury gas barbecue and picnic table for alfresco dining as well as an outdoor shower, perfect for rinsing off salty water after a surf or swim. The property is in a dog-friendly area and up to two well-behaved dogs are welcome at Dolphins. Garage with additional fridge freezer, tumble dryer, beach games, buckets and spades, windbreak and storage space for surfboards, pushchairs etc. Dolphins is access friendly as it is all on one level and suitable for wheelchair users.